Home >> Providers >> Shalyn Ahmadi, P.A.-C.
Shalyn Ahmadi is a PA-C practicing in our Johns Creek office and has been a valued member of the North Atlanta Primary Care team since 1999. Originally from West Palm Beach, Florida, she attended the University of Florida, where she received a BS degree in Microbiology. Her post-graduate and PA certification comes from Nova Southeastern University in Ft. Lauderdale, Florida. 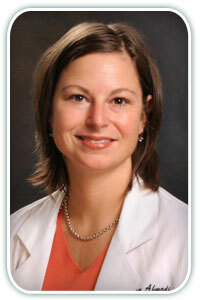 She is a current member of the American Academy of Physician Assistants, Georgia Academy of Physician Assistants and North Georgia Advanced Providers. She also enjoys participating in the clinical training of PA students that rotate from the local colleges. She lives in the John's Creek area with her husband and daughter.